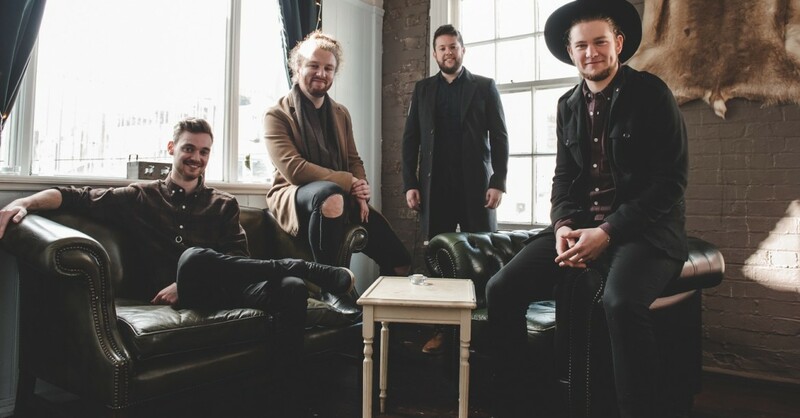 The name of this band says it all; these fine young gentlemen spend their time travelling all over the country providing a perfect mix of songs for any wedding party. 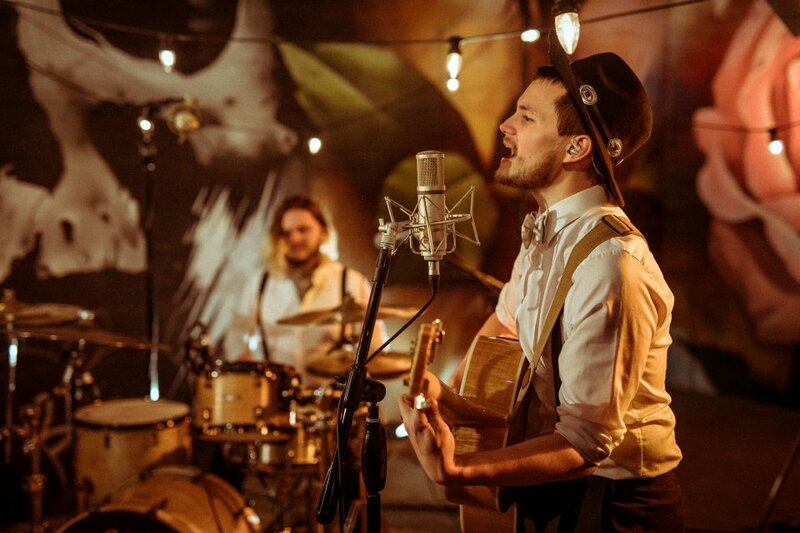 They have mixed the best of both worlds and have incorporated a fun and energetic acoustic 'Mumford & Sons' style set with a full-on party set. They can also perform two full on party sets if that suits your event, all they want is a full dance floor! Based in Surrey but available throughout the South East, these guys are booking up fast! Fantastic band! They entertained at a family orientated 50th Birthday party and played something for everyone to dance to... Kids loved them!!! Very highly recommend. The guys were amazing - such a great night the dance floor was packed all evening and the band just got better and better as the night went on!! Can't thank them enough they made the night... People haven't stopped talking about the party and the band!! The band were really good and kept us all entertained all night. Could not recommend GOTR enough! We absolutely loved the atmosphere the main singer created by standing on a chair and have had sooo many people mention it. They more than exceeded all expectations we had of a band for our evening entertainment. Please let them know a huge thank you from us! GOTR were amazing! They are truly talented musicians and all round nice guys who were happy to chat to a very happy couple when they had finished for the night. They were all very accommodating with our requests (included saving us from too much pain during our first dance!). We will definitely be recommending them to any one who will listen! They were simply amazing. 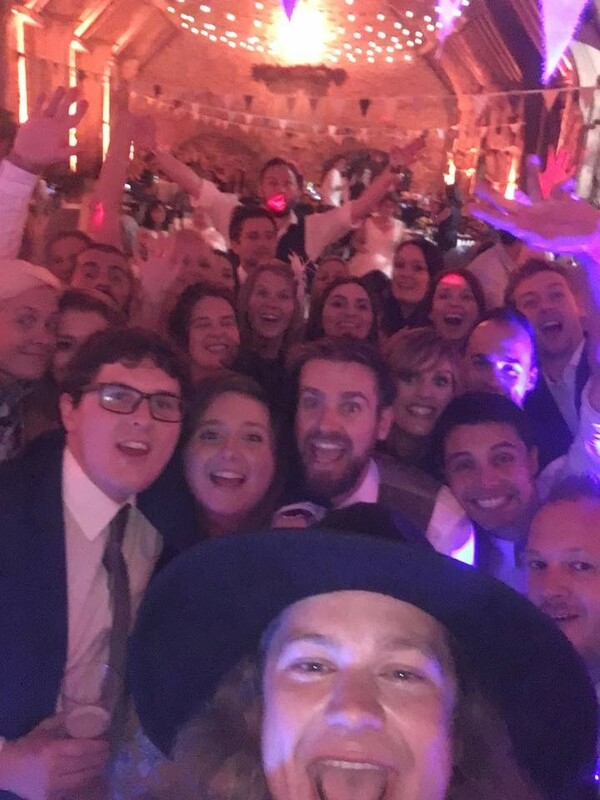 Some of the nicest people we've met, and the front man was everything you could want in a wedding band - great voice, great patience and support for every silly thing happening, and then did a raft of interactive moments to get the dance floor even more crazy. Couldn't recommend more. The guys were absolutely sensational. Book them! Got the crowd flying, great tune after great tune. Thoroughly professional and friendly. Could not thank the lads more for helping us have a fantastic evening. Absolutely brilliant. 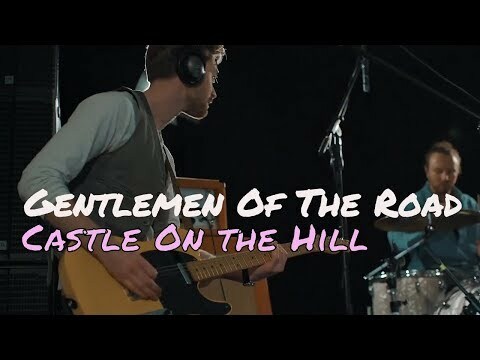 As usual it took our guests a little time (and alcohol) to wake up, but the guys of GOTR were fantastic, and everybody stated what a brilliant show they put on for us. 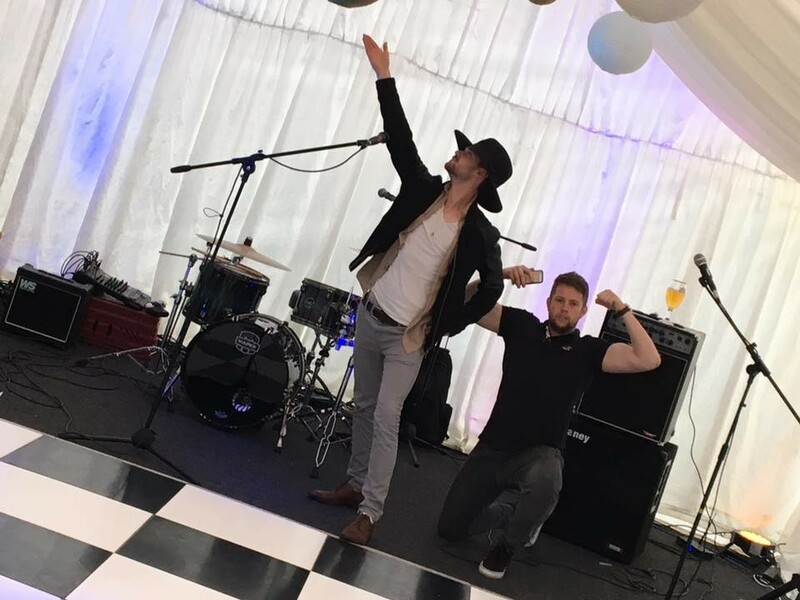 Great quality music, I would recommend them for any birthday event and I reckon they must be great at weddings based on their music sets - they got everyone up and created a great vibe. Craig (Lead Singer) was extremely helpful/courteous, so couldn't ask for better. Would definitely book them again, great value. Thanks GOTR - you made my wife's birthday a memorable one. Gentlemen Of The Road were truly exceptional. From when they first arrived at the venue, they were a very polite and friendly group of guys who went about their business in doing what they needed to do in setting up their equipment etc. without any hassle and they adapted to the resources available in the barn very well! They played all the music we requested on our initial call and their "set playlist" was a fantastic mix of genres, from all era's, which ensured that everybody who attended didn't leave the dance floor. It was truly awesome to see all of our friends and families having an amazing time - it is safe to say that Gentleman Of The Road's performance really put the "icing on the cake" to what was already the best day of my wife's and I lives. We cannot thank GOTR enough and you honestly do not need to look any further than these guys! 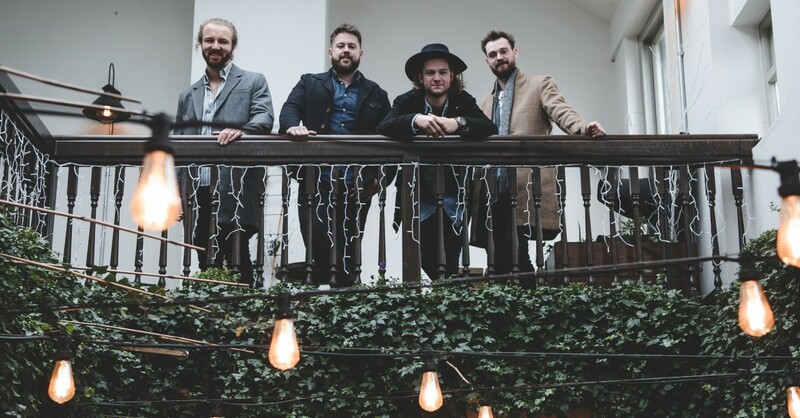 Gentlemen of the Road made our wedding reception the amazing party that it was! The songs they played were classic and current, everyone was on the dance floor until the end! We can't thank you enough, it was perfect! 100% recommended. Simply fantastic. Got everyone on the dance floor. Gentlemen of the Road were FANTASTIC! They got people on the dance floor and helped get the party started. Set up was easy and discrete, as was packaway. 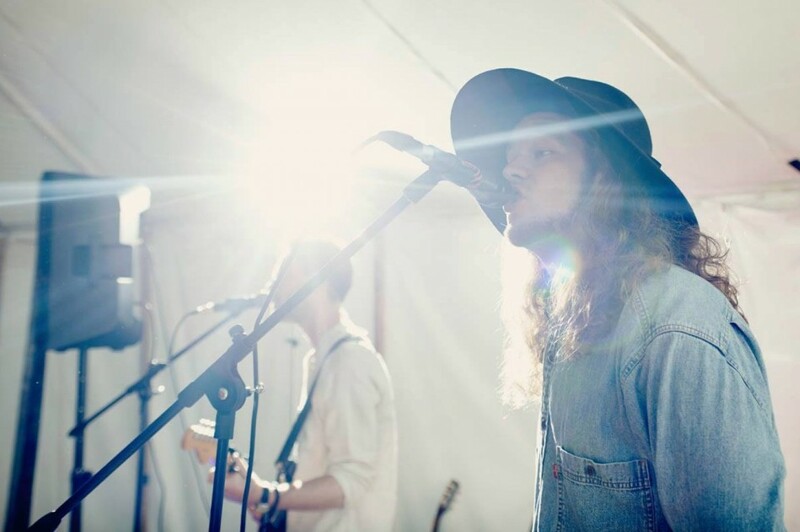 They suited our festival needs perfectly, covering songs for all and including the must-haves. The band members were all very friendly and interacted with our crowd brilliantly! Amazing! This talented band kept all of our guests dancing into the early hours, including our 85 year old Nanna! The amazing music continued the electric vibe of our big day. Absolutely fantastic. Great band , top blokes and everybody at the wedding commented how good they are. What can I say. GOTR were just amazing. You are more than just a band! You made our night so fun with perfect song choices and family sing offs! It felt like you just knew us and you read the night so well. We loved every minute and so did our family and friends. If you're still around in 10 years, we would love to have you back when we renew our vows!! The band were brilliant! They responded quickly to all our enquiries and were so polite and professional on the day. They had everyone on the dance floor and their sets were incredible! Highly recommended! It went fabulously well, the band did a great job, please pass on our thanks to them. Thanks to you and your team also for co-ordinating it all. Don’t bother looking any further. These guys are absolutely fantastic! We found them on the internet and totally lucked out. They were just what we were looking for and 10 times more. They got in touch a few days before they came and we went through their song list and agreed to add some others that I really wanted. They initially did an acoustic set outside while everyone arrived and pitched it perfectly so we could see and hear them but have a chat and a few drinks, then they went inside and the energy and volume really ramped up and everyone went mad! They played the sort of music that makes you want to dance, they let my daughter sing a couple of songs with them, which was awesome, and we didn’t sit down until they left. They are brilliant at getting everyone going and were so lovely at the same time. I am definitely going to book them again! Gentleman of the Road were absolutely AMAZING! We can't recommend them enough. They sounded great and played some absolute classics to get everyone on the dance floor. For us, they were the highlight of our evening. 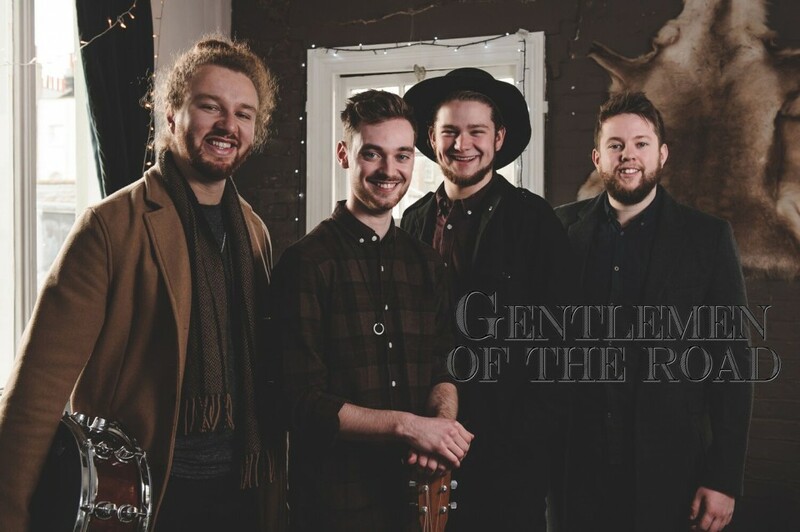 If you are looking for a friendly and energetic band for your wedding, you need to book GOTR! 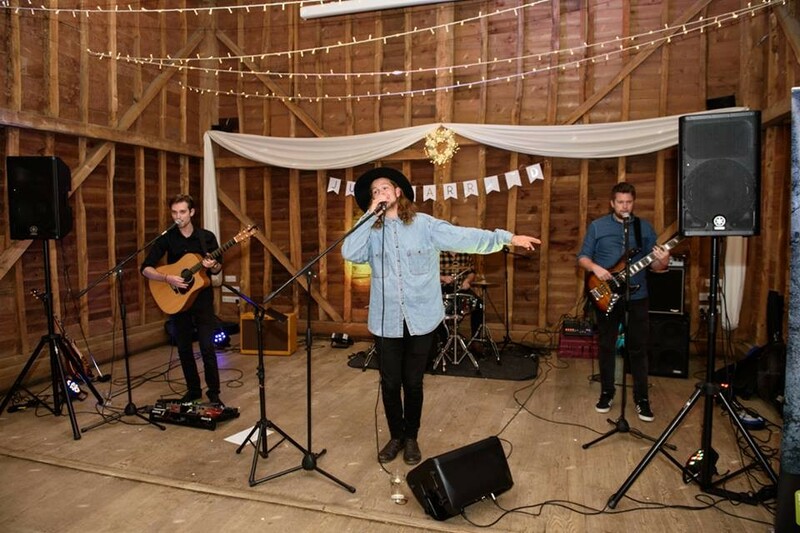 We loved having these guys attend our wedding, not only was the music amazing but the vibe was great and they really became one of the wedding party. We had so many amazing comments about how great the band were, and we loved having them with us. Thank you guys and thanks for the polaroid you left us to remind us of you all!!! 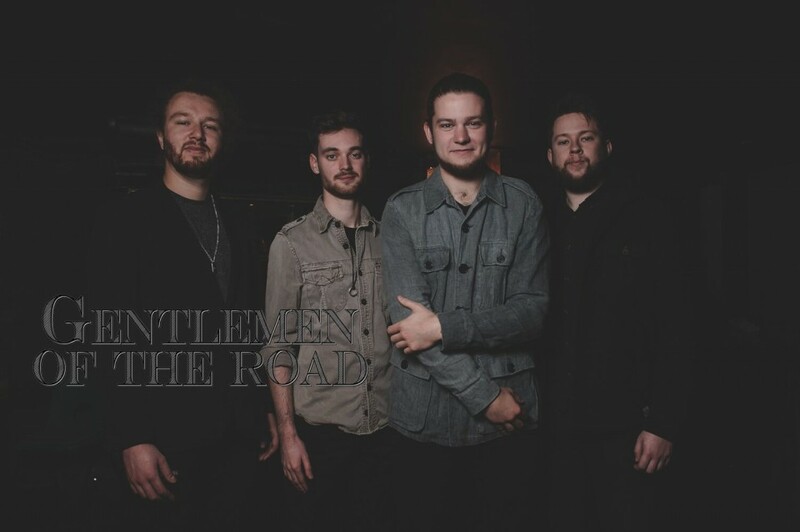 Gentlemen of the Road were friendly, polite and professional during conversation before and during the party. The music was very well appreciated and they followed our desired music choice very well. 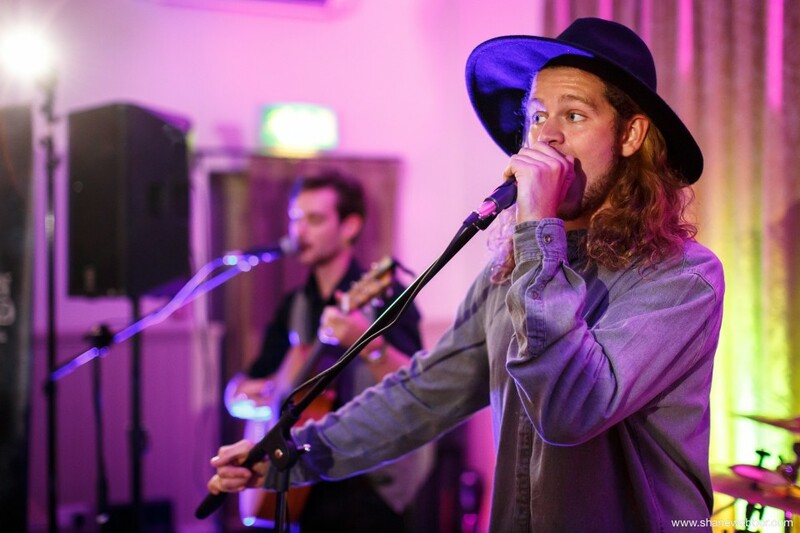 Comments from our guests - 'the band were great... loved all the music’, ‘where did you find the band,they were fab and really nice guys as well... ’,‘Loved the band, what a find!’ - Thanks for entertaining us. Myself and my Husband can not thank the band enough for their performance at our wedding. 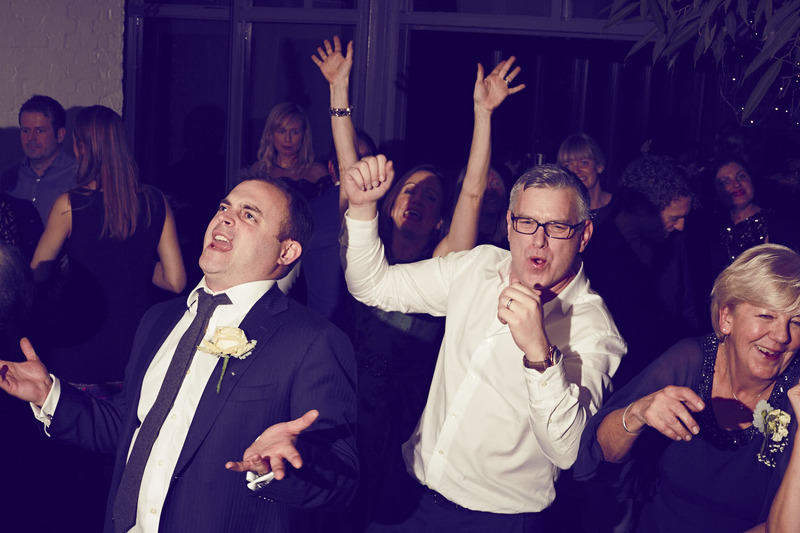 The dance floor was never empty and our guests loved them. Would highly recommend them. Warble were great, quick at responding to any queries and quick at sending receipts. They always kept us informed of what was going on. The band itself were fantastic, with them ringing a couple of weeks before to introduce themselves and ask lots of questions to get to know us. They were brilliant on the day and, except from the venue staff, they were all any of the guests were talking about and made the evening a fantastic and memorable one!! Thanks! The band were great, everyone loved them and they were really relaxed and just fitted in around everything! Thank you very much to them for helping make our evening so special! Great band, got the dancing going with some great music Friendly and organised but relaxed. 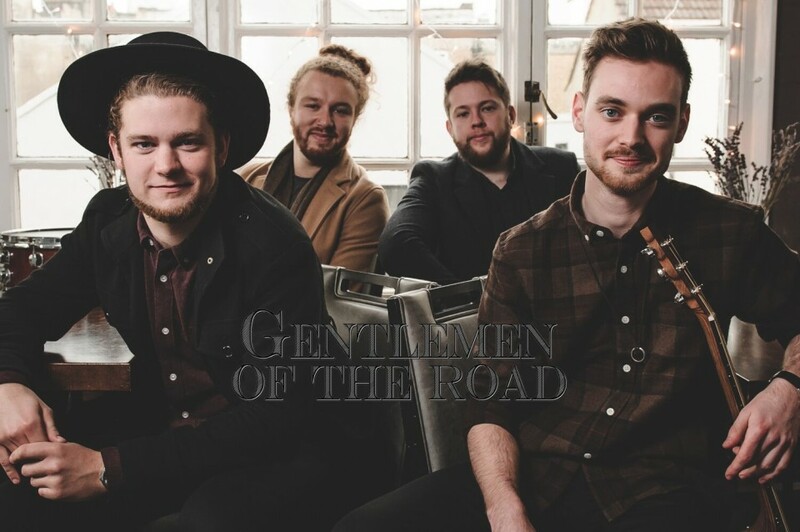 We booked "Gentleman of the Road" to play for the evening portion of our wedding reception. 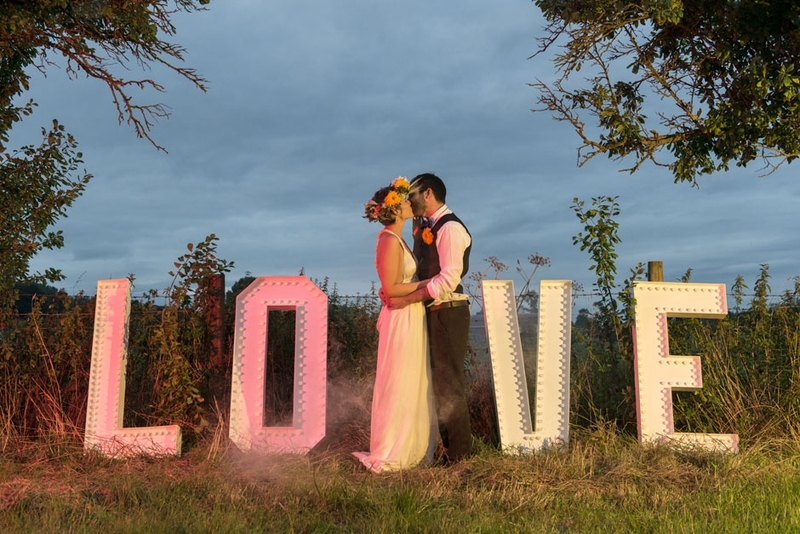 The venue was Smeetham Hall Barn in Suffolk. Once the band had been booked, they contacted us a couple of weeks before the big day. Craig was very friendly on the call and helped guide us on some of the elements we were unsure of. We left the call feeling confident and happy that the band were aware of our wishes for the big day. Despite the snow, the band arrived in good time and got to work setting up in coordination with the venue staff. As soon as the band started playing with our first song, we knew we had made the right choice. Everyone was really impressed with set list, and music style. They engaged with the crowd brilliantly and got on extremely well with the guests - very professional and approachable. They also had some brilliant crowd interaction elements to their set. We had a fantastic time and the guys really helped close off what was a fantastic day. We would not hesitate to recommend these guys to anyone for any event. Brilliant fun from start to finish. Thanks for helping make our wedding day so memorable. Dan and Chloe. These guys are AWESOME! We had the best wedding, as well as being top musicians they are great guys and can't half get a crowd going - couldn't thank you enough chaps, thanks very much. BOOK THESE GUYS they are GREAT!!! The band were unbelievably talented and had everyone's attention from the first moment. A really great group of lads that entertained throughout their sets, many have asked for their contact details for the future. I would definitely recommend them and if I have another UK get together they would be my first choice. They should charge more, many many people said the same. Thank you for making our evening special. I will be emailing separately too. A fantastic band, great music and an amazing rapport with the guests. The band made the evening, truly outstanding! Could I have asked for better live entertainment at my husband's 40th birthday Halloween party? No I could not!!! Gentlemen of the Road were not only a fantastic live band, but game for a laugh (bananas...really?! ), brilliant at getting the crowd going and wonderfully efficient on the run up to the event. It's always pretty stressful throwing a party and hoping everything will go to plan and they made the night. Love, love, love you guys. Thank you! Fantastic band. They were talented and sounded really great. Both Warble Entertainment and Gentlemen of the road were fantastic! Nikki was amazing and made the whole process easy and hassle free. 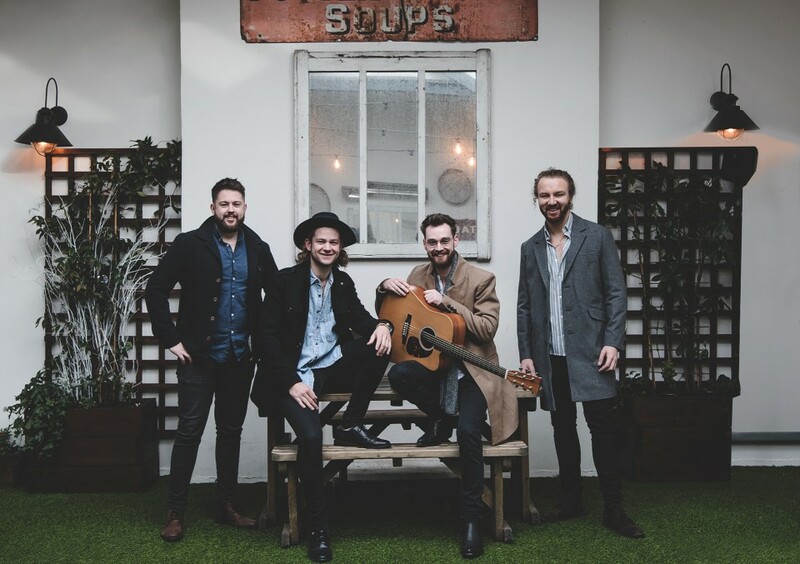 Gentlemen of the road were incredible, a great bunch of guys and the performance was amazing on our wedding day. 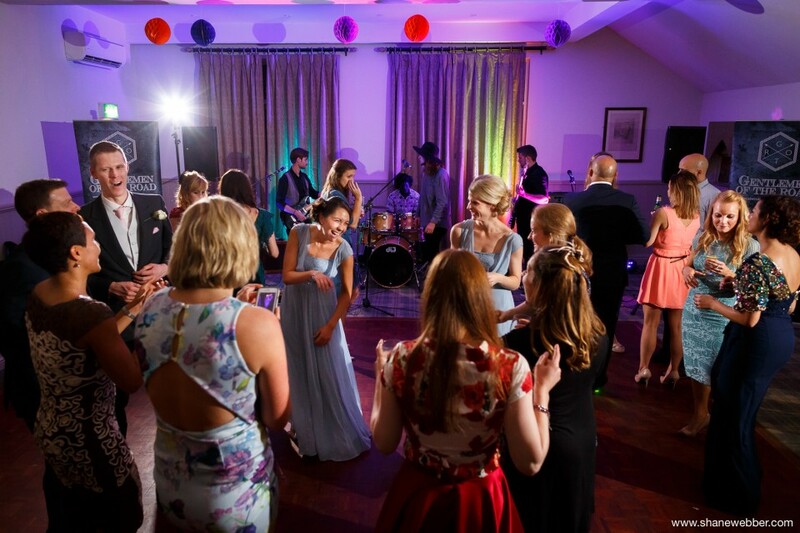 All of our guests had a great time and said the band were fantastic, great song choices and a lot of fun. Thank you so much! GOTR were absolutely fantastic, exceeded all expectations and I genuinely did not move from the dance floor the entire night. Everyone else thoroughly enjoyed themselves and raved about the band afterwards. Would 100% recommend. Thanks guys!! They did an amazing job and everyone loved them. A really nice and sound group of guys who knew exactly how to play to a crowd. Would recommend to anyone. Thanks for making our evening entertainment awesome for our wedding! They were amazing. Dance floor was full all night, everyone at my wedding said brilliant and a couple of people are looking to book them for future events. They included us in everything! They were a great laugh and so polite, hope they get a big break and make it big. Can you let them know we said a great big thank you. 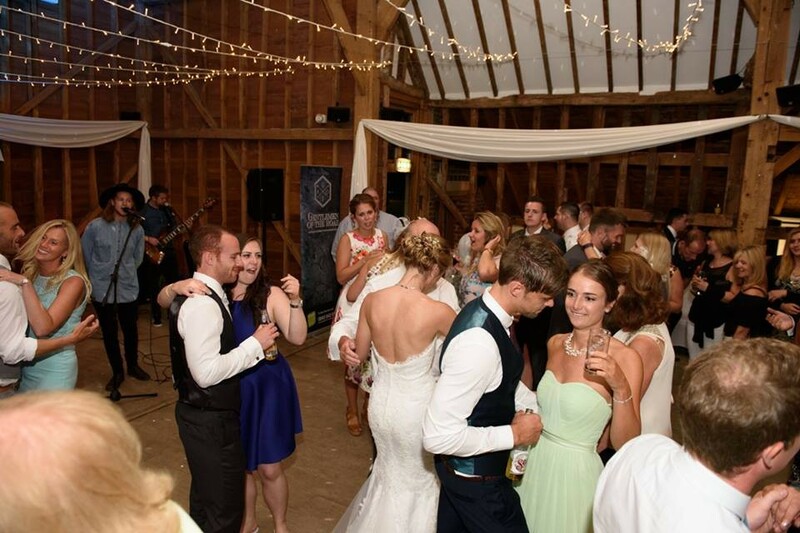 The band arrived punctually and set up unobtrusively; their sound fitted our venue perfectly, we were absolutely delighted with our choice and so many of our guests said how much they enjoyed the band. They have a lovely Glastonbury feel but with a cutting edge vibe combined with polite professionalism. Thanks guys, you helped make our special day perfect. 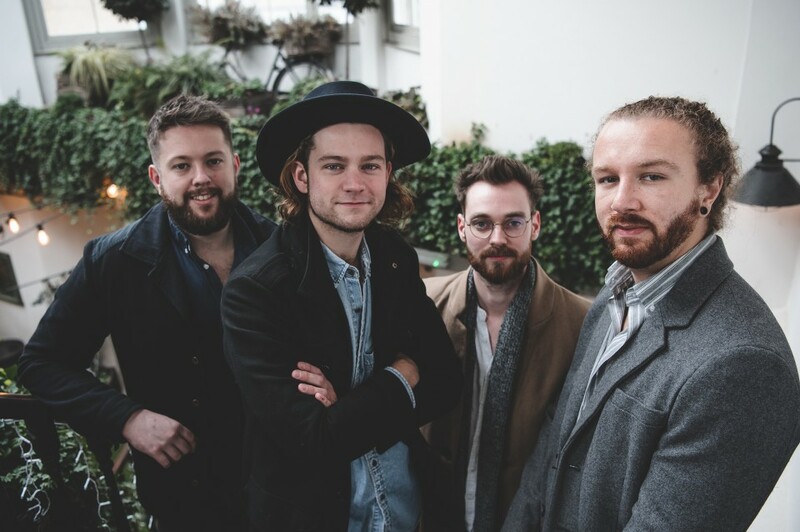 Don't hesitate to book Gentlemen Of The Road you are onto a winner. From booking to the final song, the arrangements and the band were superb. On the night, we couldn't have wished for a better way to entertain our guests. Gentlemen of the Road were excellent. We received many comments from guests saying the very same. Will recommend you to everyone!! Thanks, Nick and Becky. 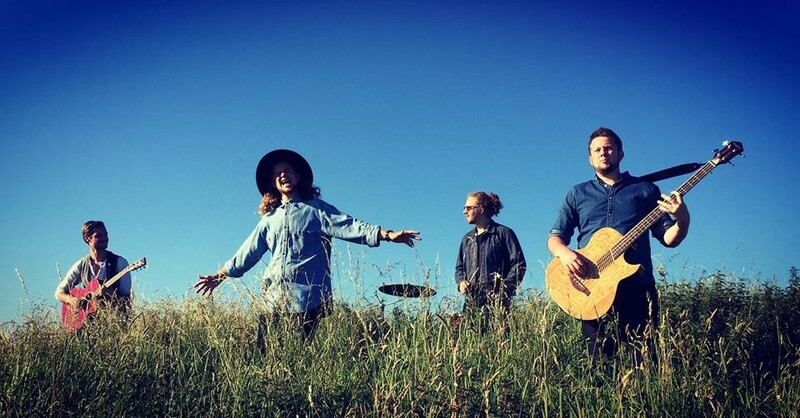 A lovely band! Craig was so helpful from the beginning, understanding exactly what we wanted. All the guys are so friendly and passionate - they really got the crowd going and the dance floor was packed! Would highly recommend them. 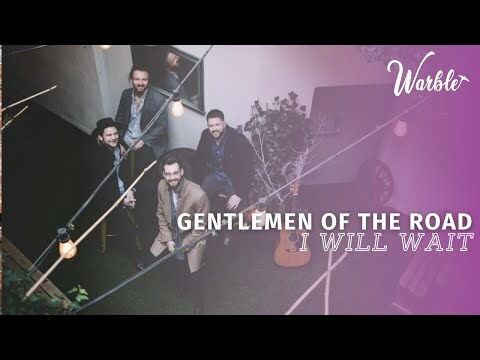 On behalf of Natalie and I, we would like to say thank you to Gentlemen of the Road for an amazing performance at our wedding last night. Craig and the other guys were incredible and had our guests up dancing from the start, right through to the end - where we'd had have them play all night if we had it our way! Not only are the band incredibly talented but they are also both so polite and great to be around. 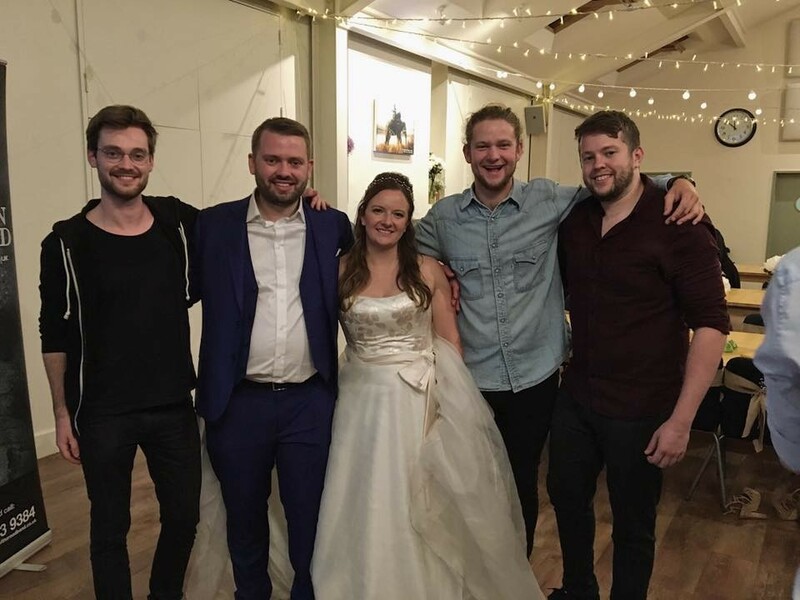 We loved how the band interacted with us and the guests to ensure everyone had an amazing night... We have had so many hugely positive comments about the band from all our guests and so once again thank you for making our wedding extra special and we wish you all the success in the future. You guys really are awesome!! 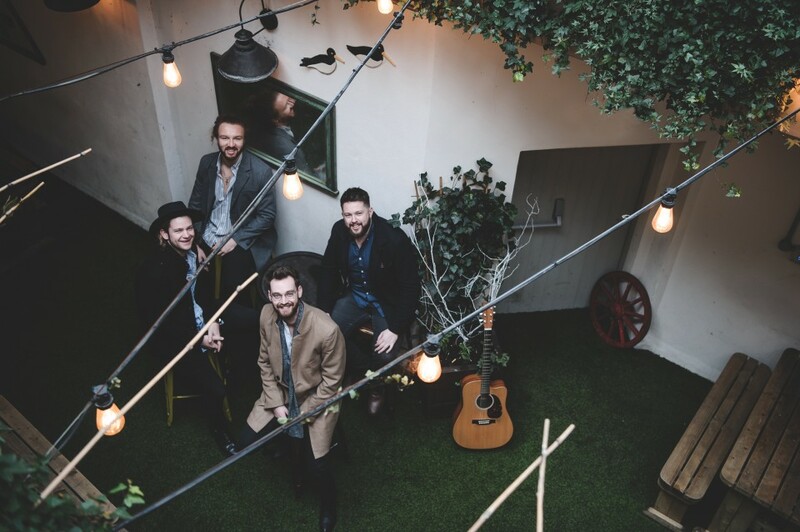 Gentlemen Of The Road are an absolute credit to you. Everyone was up dancing from the moment they started to the very end. They made our wedding amazing, thank you so so much. We could not have been happier with GOTR. They setup silently and with no fuss, they played the first song flawlessly and then provided great entertainment throughout the night. They let their personalities shine through a few times when people left the dance floor and encouraged the party to get started! Gentlemen of the Road were absolutely fantastic and completely made our evening!! They literally filled the dance floor so much that it had to have an emergency expansion! They got everybody dancing from start to finish (including my uncle who I have NEVER seen dance before)! Two of our guests even inquired if we would be happy for them to approach you for booking at their weddings (watch this space I'm sure they will be in touch soon if they haven't already)! 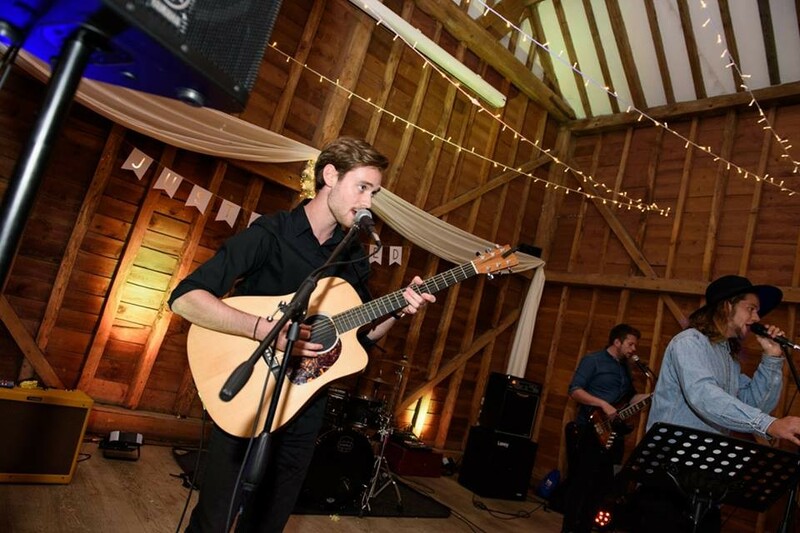 Awesome band, great to deal with and exactly what we were looking for with our festival themed wedding. All our guest commented on how good they were, I'd recommend them highly. Absolutely amazing! They were so professional and helpful, nothing was too much trouble. Would 100% recommend them for any event. Great musicians, down to earth, polite and professional. So so happy we chose them, we couldn't have asked for a better band. They made our wedding day! GOTR were fantastic all our guests loved the set list and they were extremely happy to handle any of our special requests! The guys are really genuine and friendly and the entire performance is incredibly professional. They know how to get the crowd dancing! Couldn't ask for a better wedding band! Band were great, friendly and did a great job at creating a lively atmosphere. Would use them again in a heartbeat. Everything was so easy and smooth to organise. The guys were friendly and helpful on the day and were more than happy to go with what we wanted. The bride and groom had a wonderful night, the music was fantastic and everyone raved about the band. Would use them again for other events. Thank you so much. Absolutely brilliant band who got everyone dancing and were fantastic performers. I would recommend them to anyone and would make an awesome addition to any wedding. 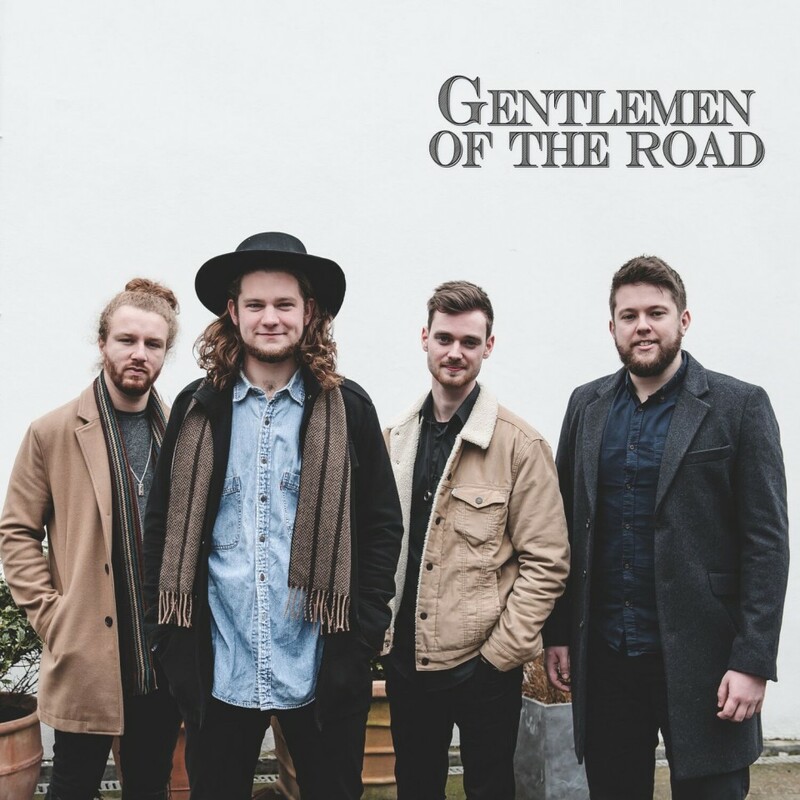 We really recommend Gentlemen of the Road, they were really professional in the lead up to the wedding with all communication, and managed to get a lot of our guests dancing, which is not an easy task with my family! They had a really great set list, with something for everyone. The band were excellent and the client loved them. Thanks. 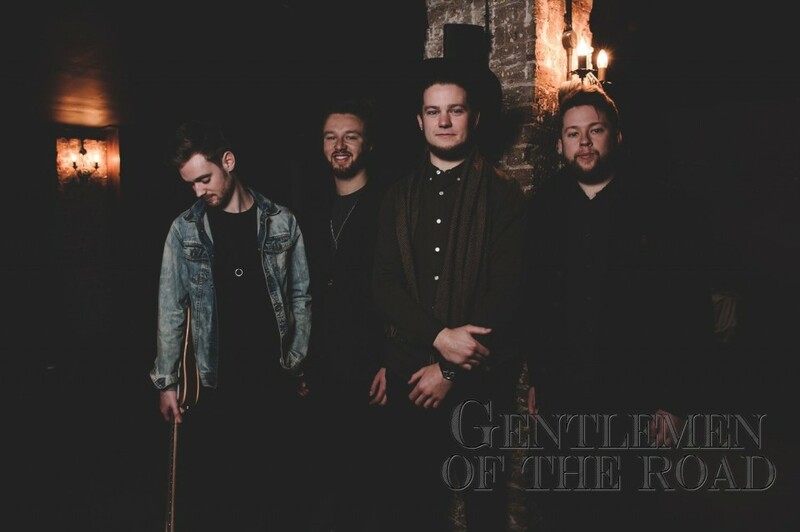 Firstly, the name of the band including 'gentlemen' was very apt. The band were so welcoming, courteous, friendly and helpful througout the night, we couldn't have asked for more. The music was abolsutely superb and the playlist was spot on for the wedding. Kings of leon went down a treat too! We will be recommending the band thoroughly and cannot thank you enough for making our day so wonderful! Thanks guys! Setting up was fine. Great friendly bunch of guys. The response time was very good for any queries. Booking process was easy. Thank you, Adam Towers for also helping. The band were absolutely fantastic. They had a great set. They were able to incorporate more indie songs into their set list. The lead singers voice (Craig) really fitted with the festival vibe of the wedding. They were able to do our first dance song, which was absolutely mint. The band really fitted with our outdoor wedding. Top band to finish a top wedding. Apart from the music which was superb, these young men were polite, enthusiastic and totally had the situation under control. I would and will recommend them anytime, anywhere. The band are wonderful! Lovely blokes who are a joy to have around and put on a great show. 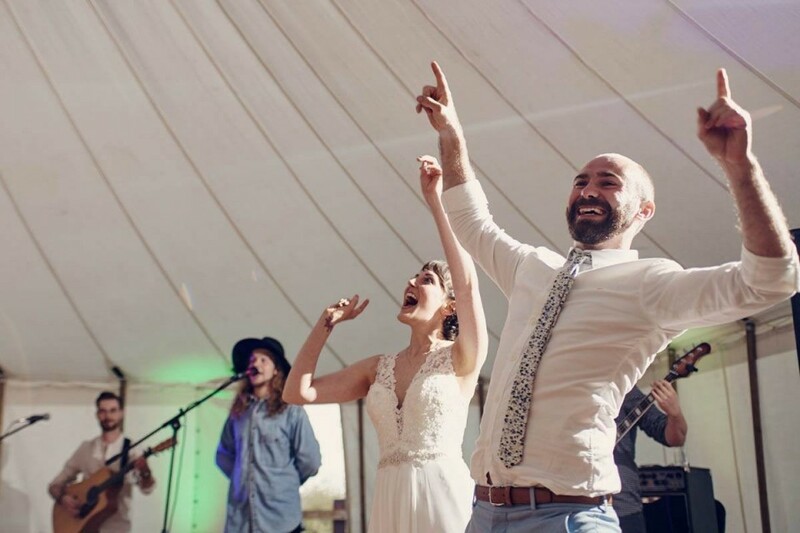 Everyone keeps saying how brilliant the entertainment at our wedding was, they got the crowd up dancing and created the perfect atmosphere. I cannot thank them enough. They come highly recommended, book them, they are AWESOME. Thank you for helping to make our day so great guys. Such an amazing group of guys, they even let me sing with them all night! Amazing voices and great vibes, would absolutely book again. 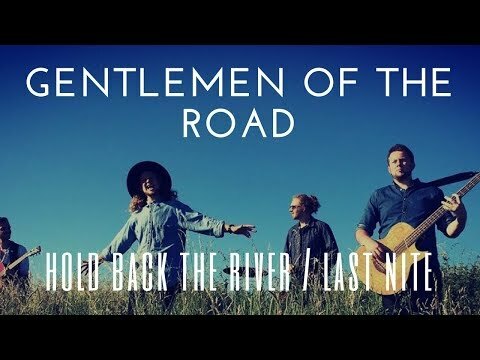 We hired Gentlemen of the Road for our wedding reception and they were better than we could have ever hoped for! They learned our first dance song which made it even more special for us, and the two sets that they played had all the guests up and dancing! We had so many compliments from our guests and they all wanted to know where we'd found the band! Thank you for helping to make our wedding day perfect! The whole process from the booking through to the end of the reception was hassle free and everyone we dealt with were friendly and professional. Would definitely recommend! Gentlemen Of The Road were awesome. Honestly couldn't have asked for a more helpful, friendly and fun band. They even got an encore after their first set they were so good! Really recommend them to anyone looking for a fun upbeat band! Thank you! A huge thanks to the Gentlemen for their amazing night of entertainment, they were exactly what we wanted for our special day. 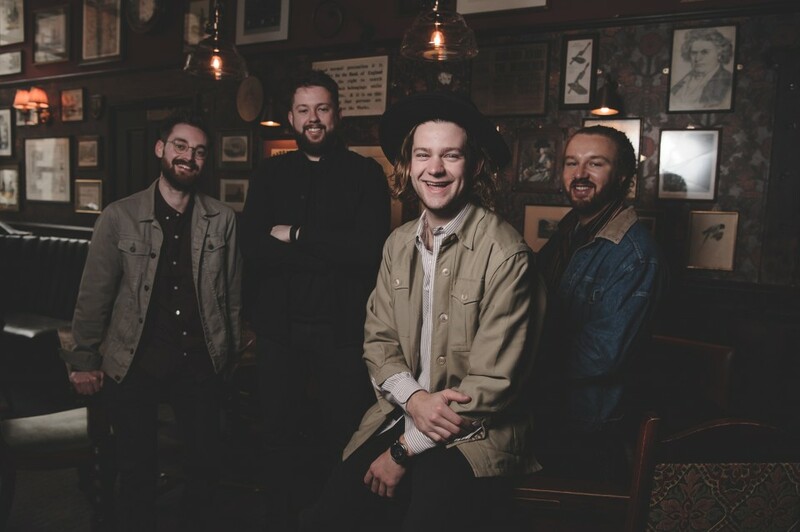 It was hard to find the right band as we didn’t want any cheese and we love bands like Mumford & Sons and The Lumineers but we also wanted a big night of dancing and boy they had it all. We partied hard, we sang too loud and we enjoyed every second. Thank you so much to all of you for our own little wedding festival. You guys rocked! To simply put it - FANTASTIC! We had Gentlemen Of The Road play at our wedding and we couldn’t be happier with our choice of wedding band. They fit our vintage theme really well but unlike some other vintage bands they were able to offer a second set of live rock music as well. It was the perfect variety and everyone absolutely loved them. So many friends have asked where we found this band so expect a lot of calls! :) These guys were the icing on the cake for our special day. Well what can I say! Gentlemen Of The Road played for my 30th Birthday and we knew they’d be good but didn’t know they’d be quite THAT good. They had everyone up and dancing from beginning to end and their 'Mumford’ style first set was brilliant and completely authentic. Thank you so much guys and I will definitely be recommending you. 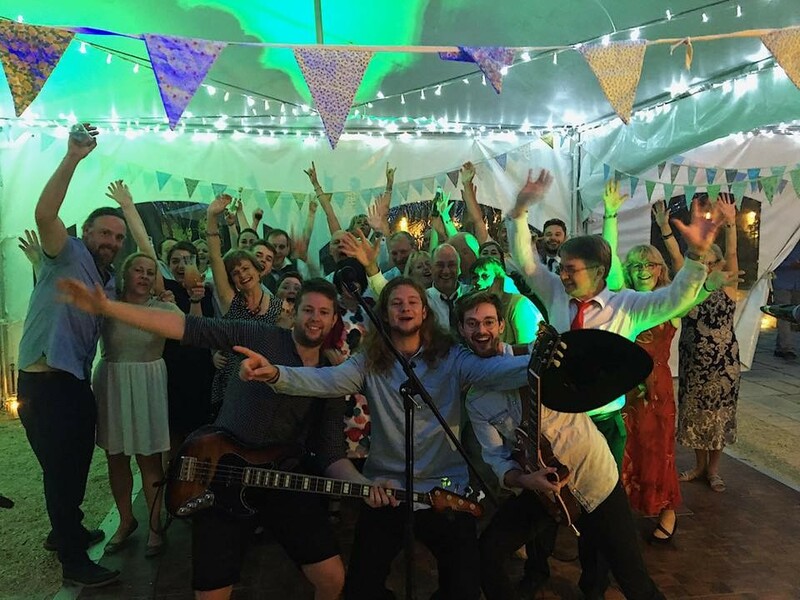 We hired this band based on a recommendation of one of our friends that have recently got married. We were so impressed by the band, they even learned our first dance song for us as well. The choice of songs was spot on and seemed to go down really well with our guests. I would happily recommend them to anyone looking for a great band. Gentlemen Of The Road were amazing!!! 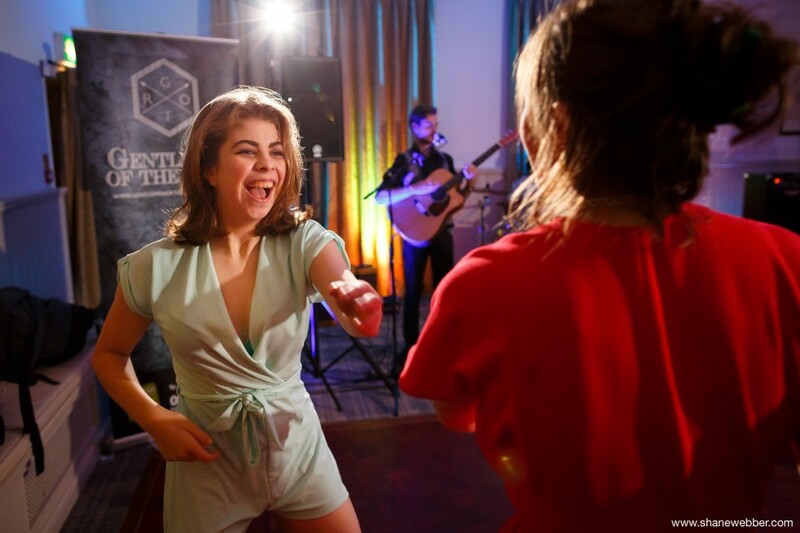 The setlist was perfect for the range of ages & tastes of all our guests - one of our favorite moments of the day was seeing everyone up dancing :) They did an awesome job and they were so lovely too! True gentlemen indeed! Thank you again GOTR!! Would book them again without a single hesitation. Great group of guys that really went above and beyond my expectations. The mix of sets worked really well and had everyone on the dance floor for the whole night. Thanks again chaps! 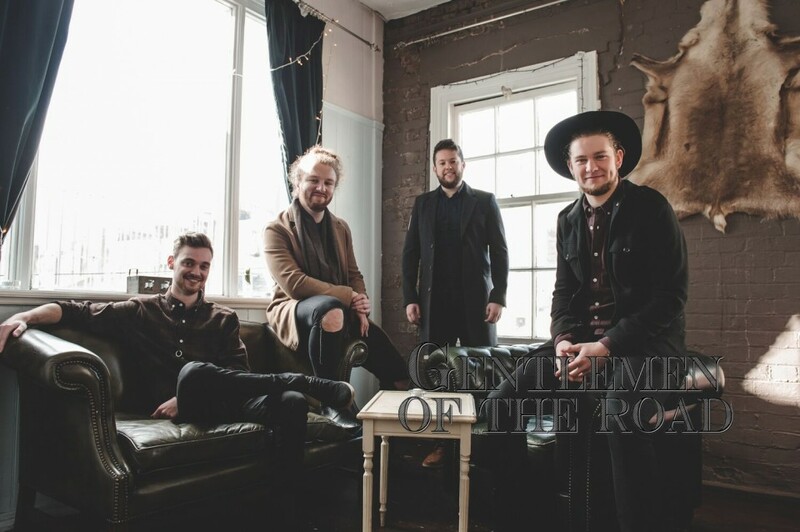 Gentlemen Of The Road perform 2 x 60 Minute Sets (1 x 60 Minute Acoustic Set followed by 1 x 60 Minute Electric Set or 2 x 60 minute electric sets). 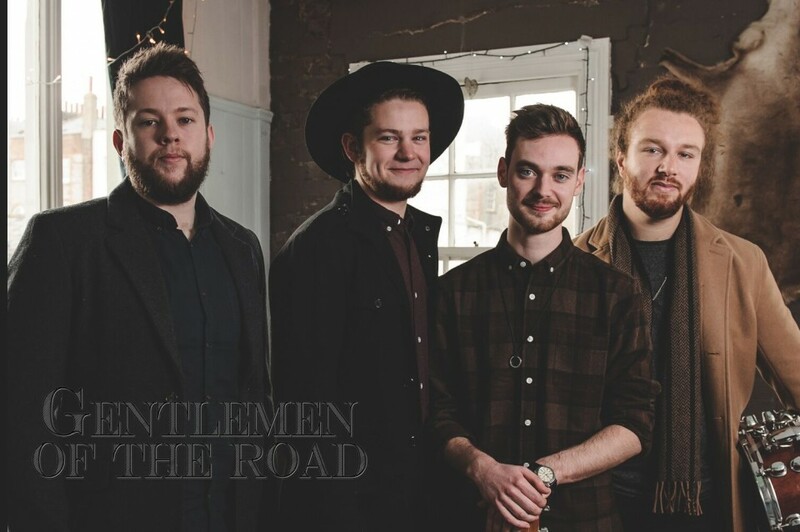 Because Gentlemen Of The Road want you to have the whole nights entertainment sorted when you hire them, the band offers a FREE DJ option that runs when the band are not performing. 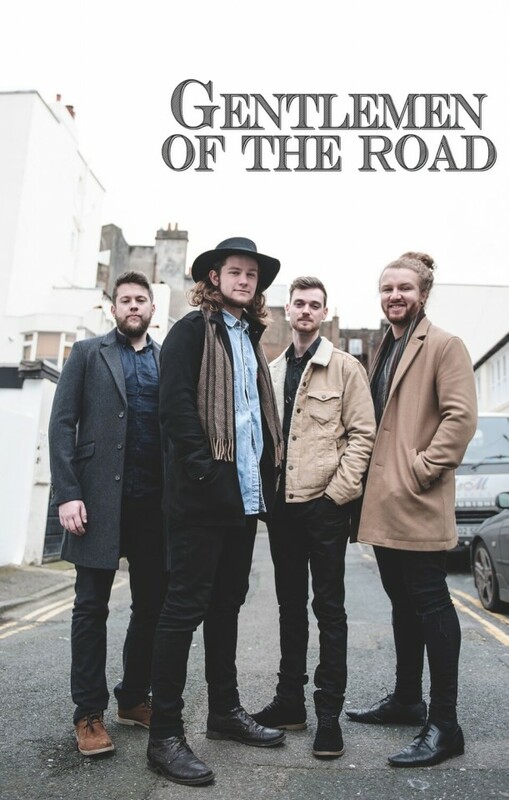 Customers who have enquired for Gentlemen Of The Road have also been interested in the following Rock and Pop Wedding Bands available in Surrey and the South East of England. For more information or further options, please call 0845 643 9384.